Rwanda is a poor rural country with about 90% of the population engaged in (mainly subsistence) agriculture and some mineral and agro-processing. Tourism, minerals, coffee and tea are Rwanda's main sources of foreign exchange. 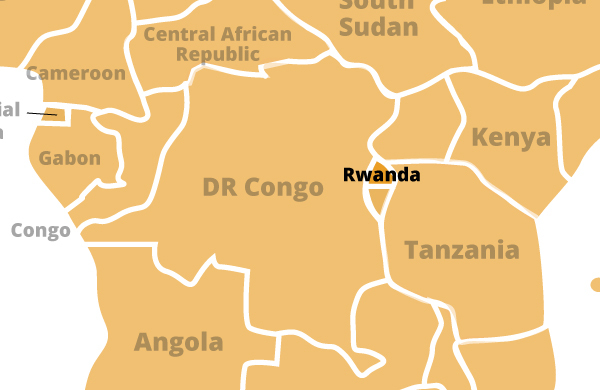 The 1994 genocide decimated Rwanda's fragile economic base, severely impoverished the population, particularly women, and temporarily stalled the country's ability to attract private and external investment. Different social classes in Rwanda live very differently. Conditions in the city and the country also vary greatly. In the cities, rich Rwandans may live in brick houses with running water, indoor plumbing, electricity, and telephones. But most urban Rwandans live more simply. Many have small houses with mud walls and iron roofs. Most lack electricity, running water, and indoor plumbing. In rural areas, the houses vary. Some wealthy people live in brick houses with tile roofs.